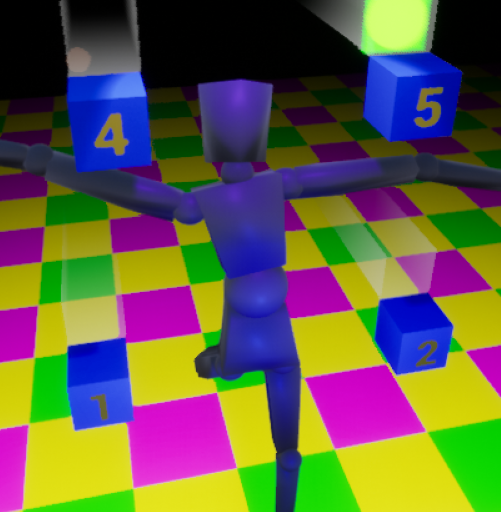 This is a rythmic based game called PuppetDanceMaster. Play this game using 4, 5, 1 and 2 numberpad keys and make your puppet move when the moves spheres approach the blue box. The biggest score possible is 260,807 I think. I would love to see you beat it if it's possible.